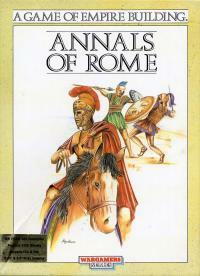 Annals of Rome is a turn-based strategy video game developed by Level 9 Computing and published by Personal Software Services. It was first released in the United Kingdom for the ZX Spectrum, Amstrad CPC and Atari ST in 1986. It was then released in Germany for the Commodore 64 and Amiga in 1987 and 1988, respectively. 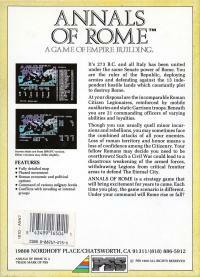 The game revolves around the late Roman Empire and its objective of surviving for as long as possible against rebelling European states.